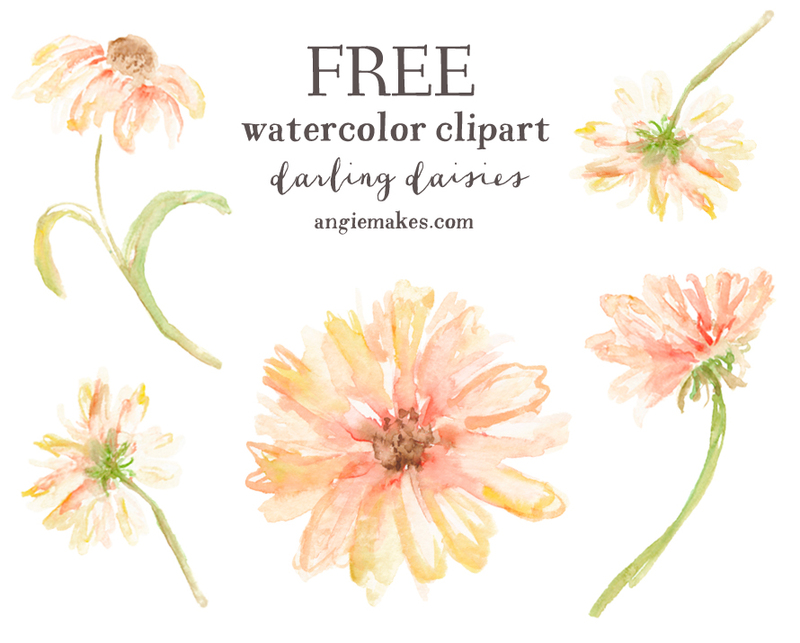 Today, I’m sharing a wonderful collection of different watercolor clipart resources I’ve found scattered around the web and wanted to bring them all in one place for you to find what you need with ease! 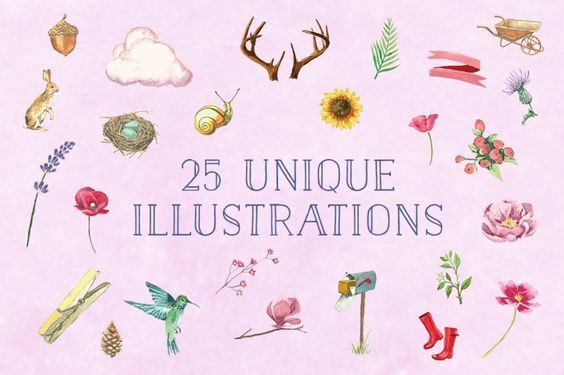 You’ll be able to create wonderful projects all for free, with these creative and inspiring resources! 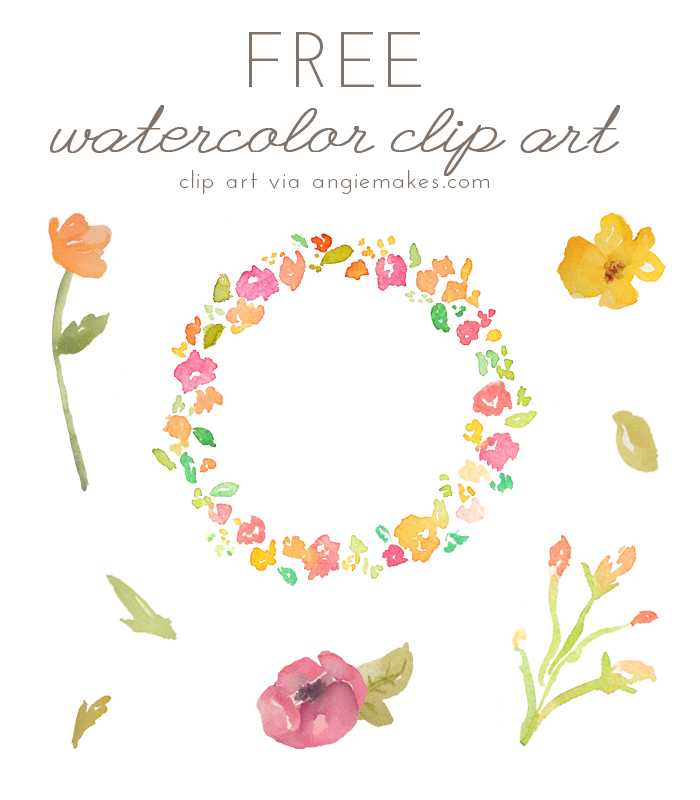 So sit back and dive along with me, into the wonderful world of free watercolor images! 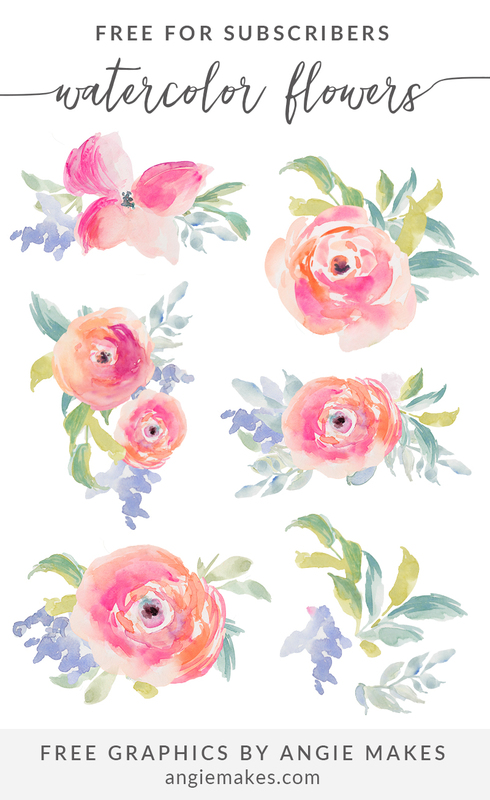 Let’s start off with this gorgeous collection from Goldandberry! 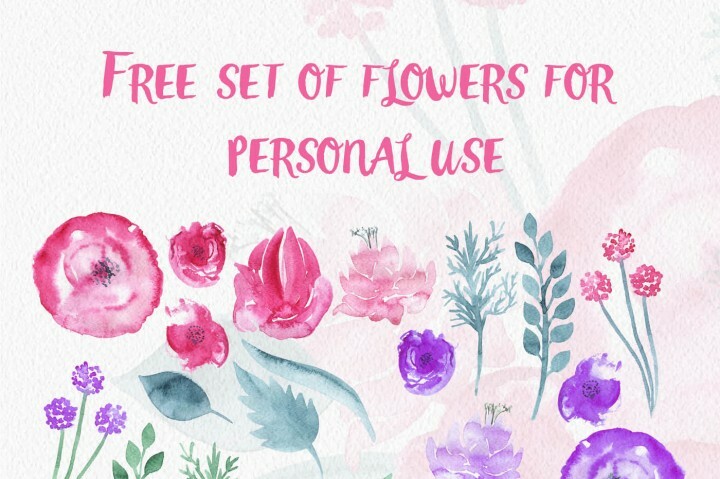 What You Get: 14 Individual flower elements (1200~1800 px) ♥ 1 flower wreath (1500X1500px) ♥4 single Flowers in PNG (1200px-1200px) ♥4 Flower Posies in PNG (1200px-1800px) ♥5 Flower Leaves (1200px-1200px) ♥Resolution：300DPI.. So Pretty! 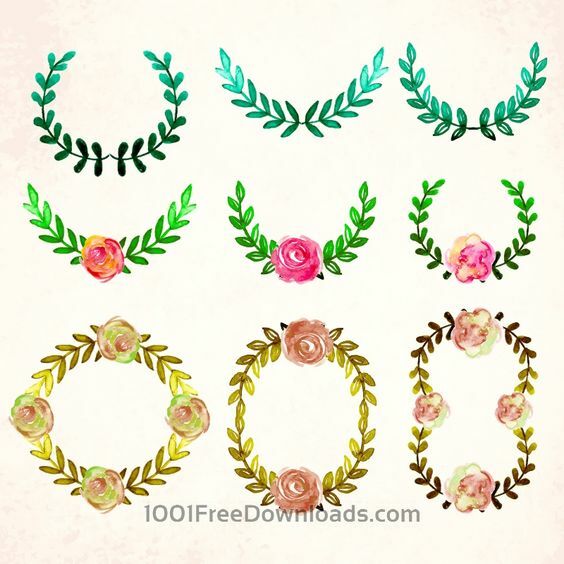 Up next, are these lovely wreaths, ready for you to build them up with more elements, flowers and leaves! Of course, I had to include my very own collection here! I hope you enjoy it! 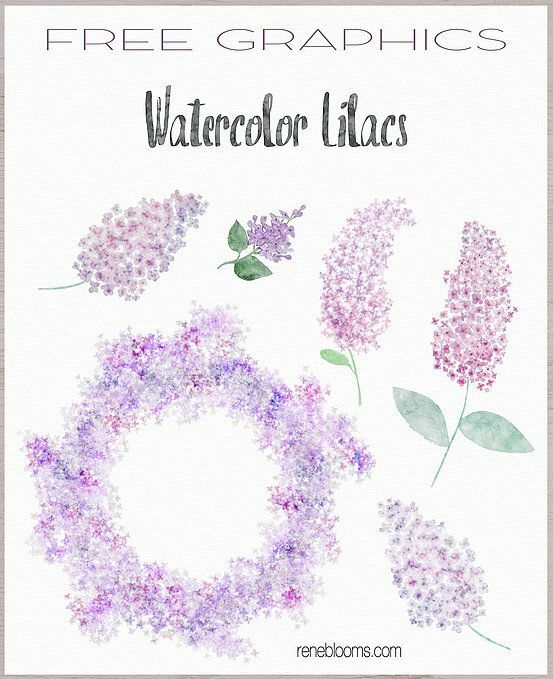 These gorgeous watercolor lilacs will be a gorgeous addition to your growing collections of clipart! Thank you, Rene, for taking the time to create such detailed work! 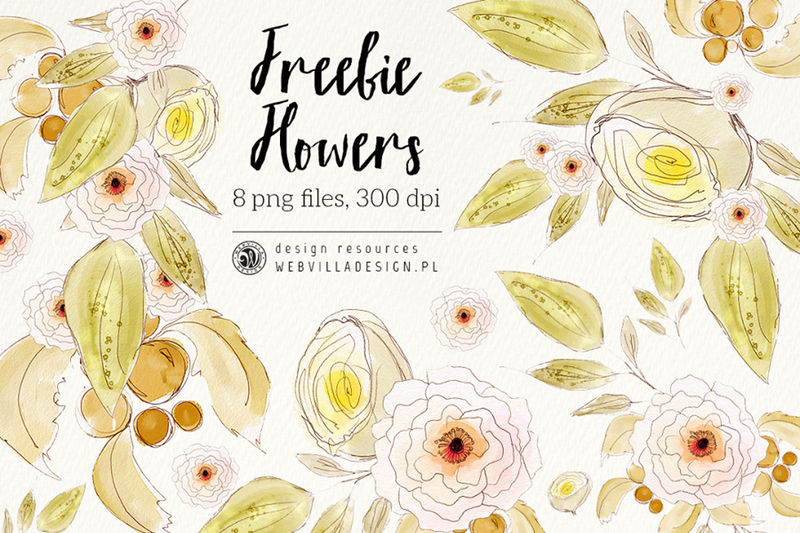 The Hungryjpeg.com is a wonderful place for designers to find awesome freebies! 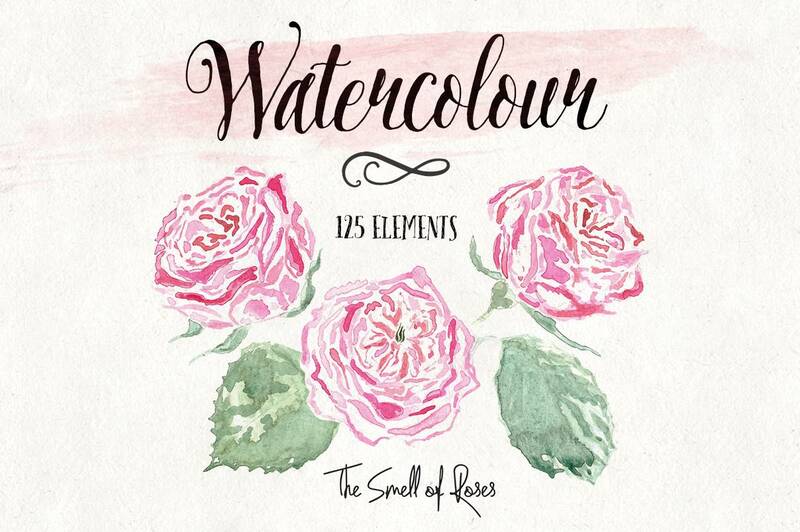 Just take a peek at these watercolor illustrations available for download to all! 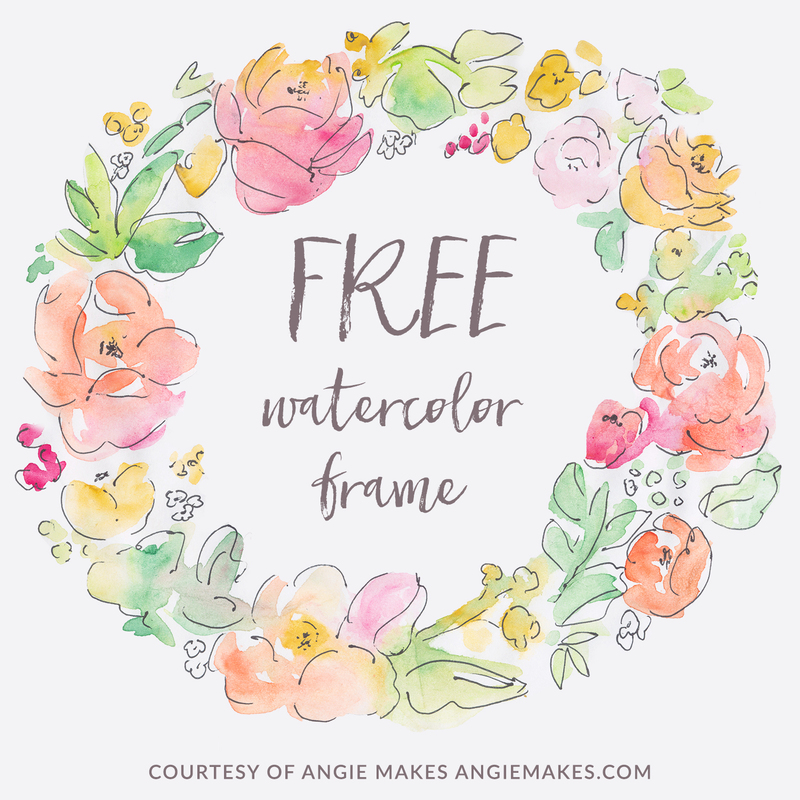 I just love this watercolor wreath and had to include it in this round-up! 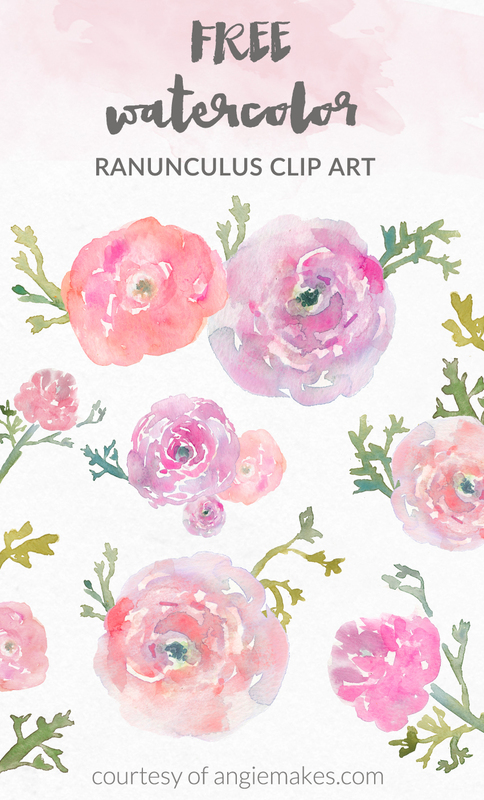 A large collection of floral elements in different shapes colors and sizes over at my place here! 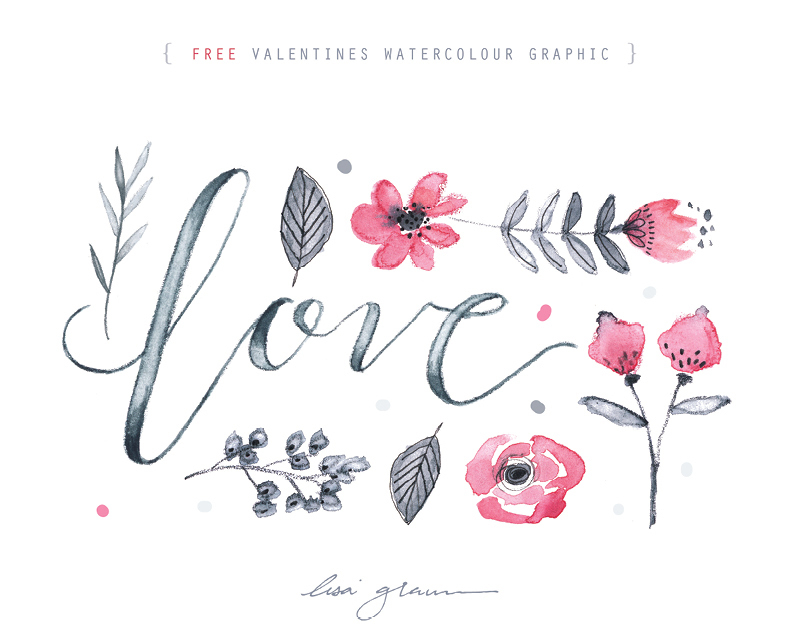 Even though this freebie was created for valentine’s .. you could definitely use it in a variety of project! These just make me totally happy! The soft colors and delicate touch give them an extra touch of fancy! Download here! Another wonderful set provided over at thehungryjpge.com! 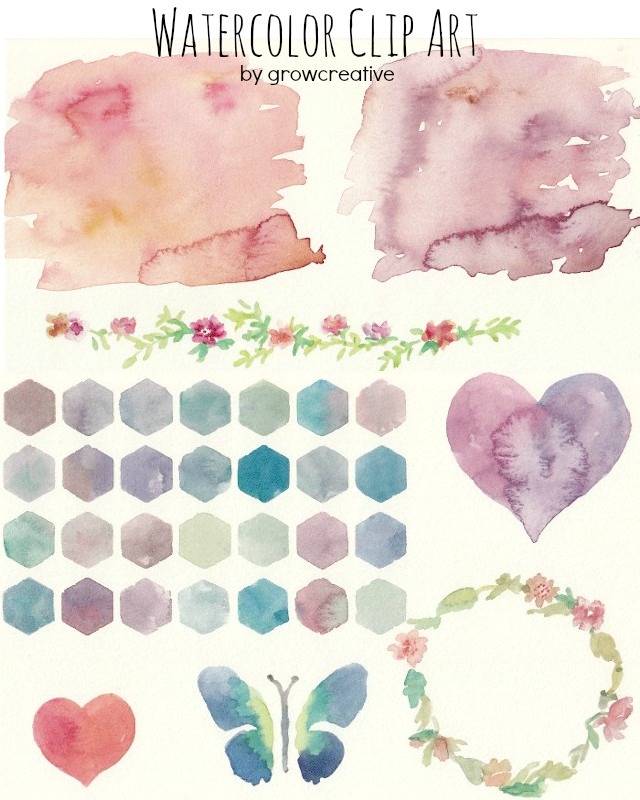 The description for these over at freedesignresources.net is: High-quality hand painted watercolor collection that perfect for creating wedding invitations, handmade craft items, scrap booking, printed paper items and more. 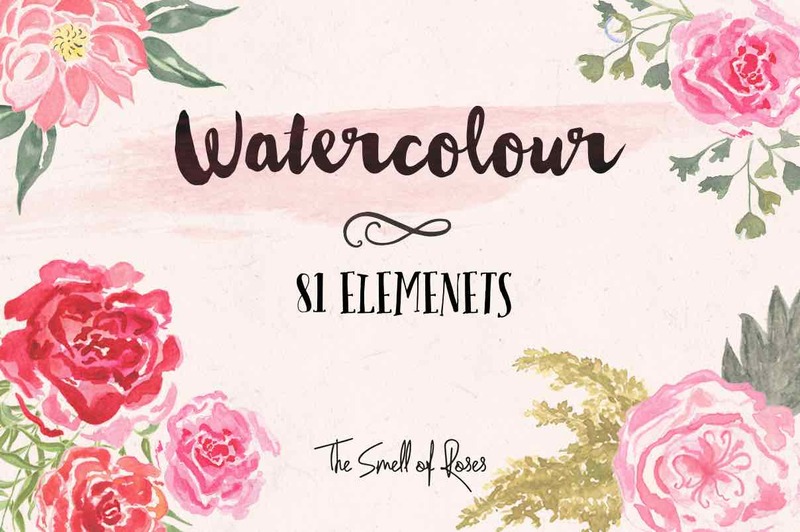 Containing 8 PNG hand drawn watercolor graphic elements. 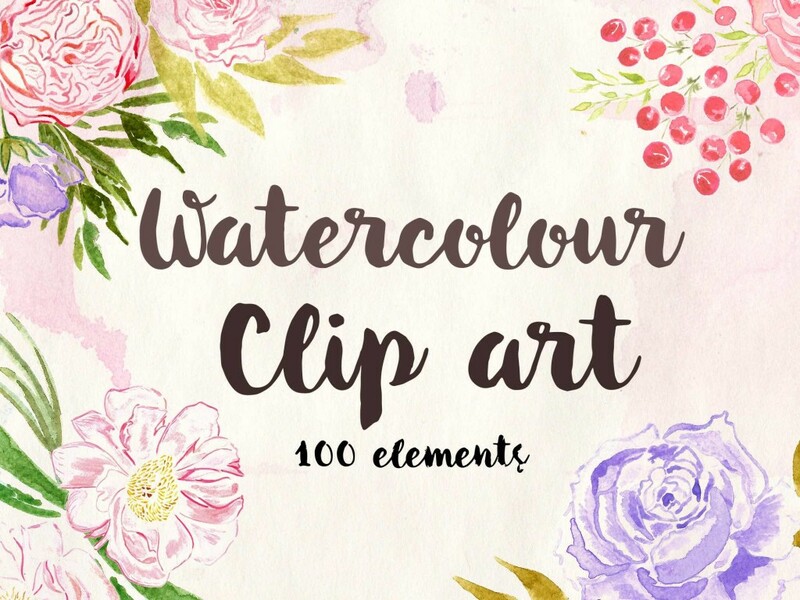 Each floral element on an individual PNG with transparent background, 300 dpi. Love this set by Growcreative! 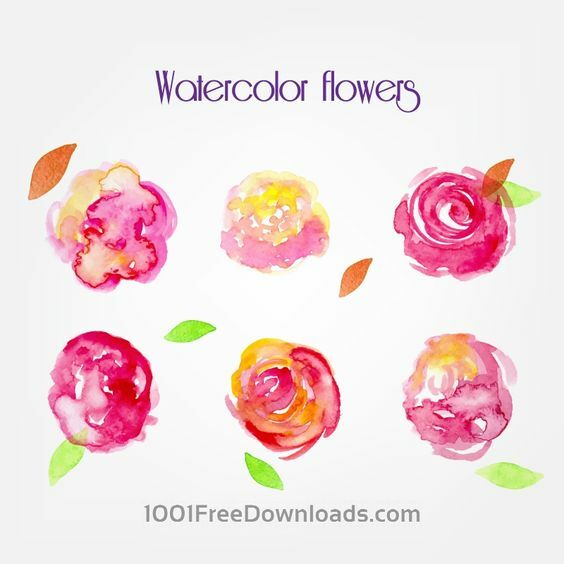 This fun brightly colored set come from 1001freedownloads.com! 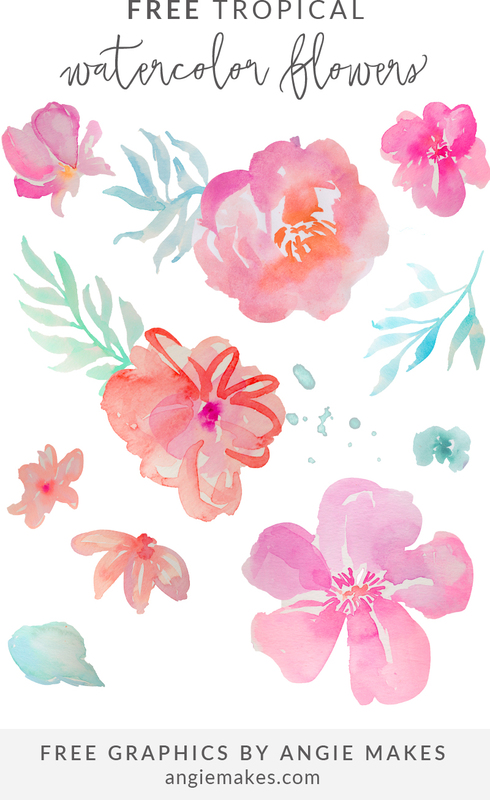 And last but not least one last one from again Angiemakes :) So fun and tropical! Had a blast creating this round up for you! Hope you’re all having a wonderful resurrection weekend! You made my ♥ so :)!!! Thank you SO much for your daily visits!!!!!! able to Sazzy up our blogs with other peoples creative master pieces. Welcome, Anita!! We think exactly the same :) Happy Designing! Wow! You are so kind for letting us to download these free stuff. It so beautiful! Love love. if you click each number.. it takes you to that page where you could go to the main source when they could be downloaded.